On July 27, the European Parliament passed a new declaration that condemns organ harvesting from prisoners of conscience in China and calls on the continent’s political elite to do something about it. Written Declaration 0048, “on stopping organ harvesting from prisoners of conscience in China,” is primarily aimed at nudging the Council of Europe, the EU’s political entity, to take action on a resolution that was originally passed in late 2013. The declaration refers to “persistent credible reports on systematic, state-sanctioned organ harvesting from non-consenting prisoners of conscience in the People’s Republic of China, primarily from practitioners of Falun Gong peaceful meditation and exercises but also from Uighurs, Tibetans and Christians.” It won the support of 413 MEPs as of July 27. 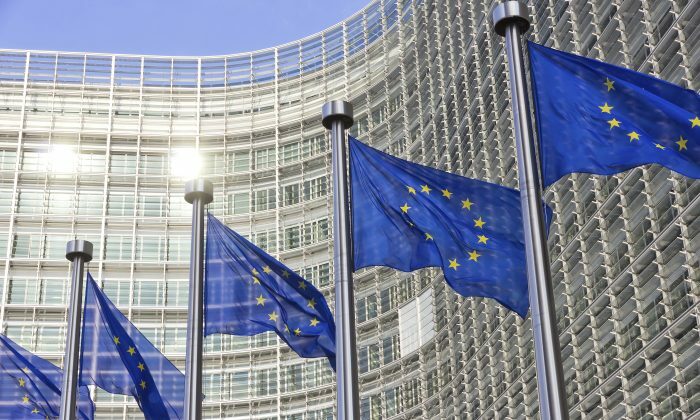 The initial declaration called for the EU and its member countries to raise organ harvesting with China, publicly condemn the abuse, launch an independent investigation into organ harvesting, and provide travel notices for their own citizens traveling to China. Two years later, the EU has done none of this. Tomas Zdechovsky, a member of the European Parliament from the Czech Republic, was the co-author of the new declaration. In an interview, he described the intense headwinds that face any attempt to elevate the issue to a major part of Europe’s relationship with China. “My colleagues were very surprised when they heard about this information,” Zdechovsky said. “They’d never heard it before.” And yet many “reacted negatively,” he said. The declaration required at least half of the Members of European Parliament in order to pass. It achieved this a number of weeks before the lapse date, July 27, when it went into effect. It is not a binding law and does not force any action—though it does express the views of the Parliament. The extreme and abject nature of the abuses claimed—the state-directed industrialized killing of prisoners of conscience for their organs, by doctors, for profit—is what attracted the attention of a number of European politicians who typically evince no interest in the EU as a political entity. Gerard Batten, a co-founder of the anti-EU UK Independence Party, has only ever signed his name to one other written declaration, about an alert system for suspected abductions of children. “This subject needs to be covered in our newspapers, in television, and on the radio. When most people know about this, that will empower our governments to take a position — and I hope that all countries of the world will shame China into ending this,” Batten said. Zdechovsky said that in September he and his colleagues will get down to the business of trying to somehow force the hand of the EU on the issue, or investigate what the European Parliament itself is able to do to push it forward.